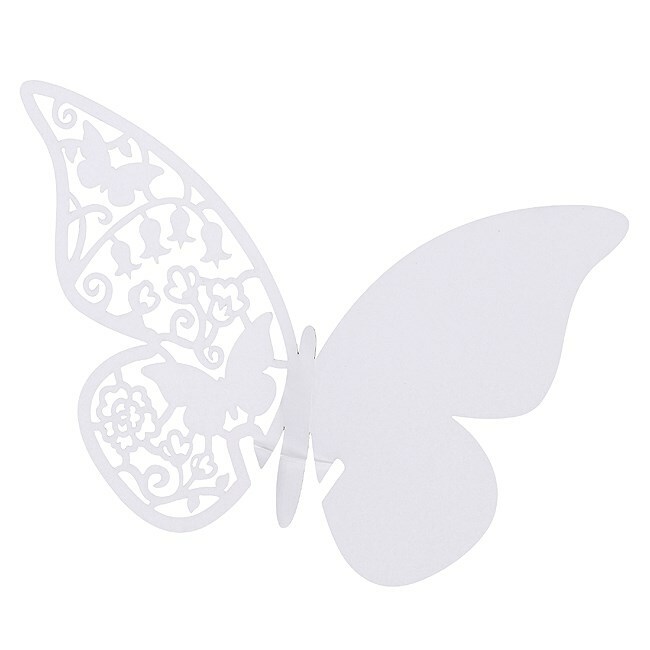 10 beautiful butterfly place cards. 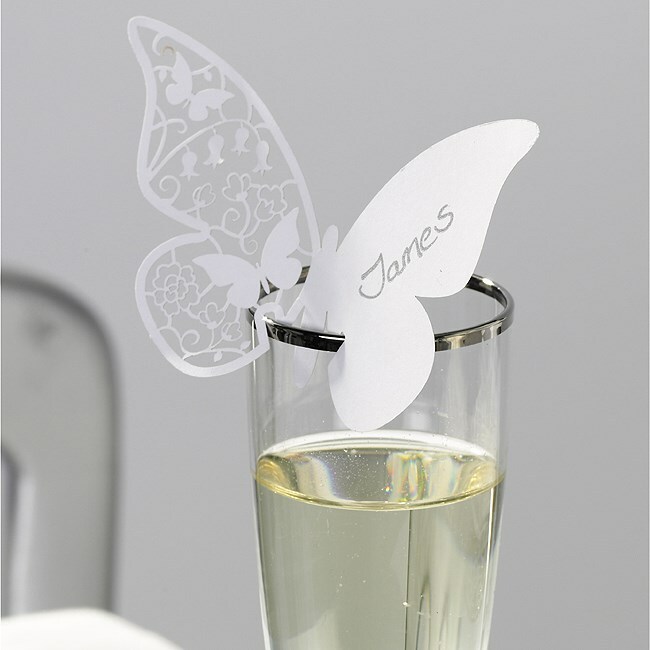 One half has an elegant laser cut design and the other is left blank to write the name of your guest. Pop onto a glass for the perfect finishing touch at a place setting. Perfect for DIY weddings!